I've been reading a lot of personal growth books lately, which is great. But I want to take a break and read a fun book. 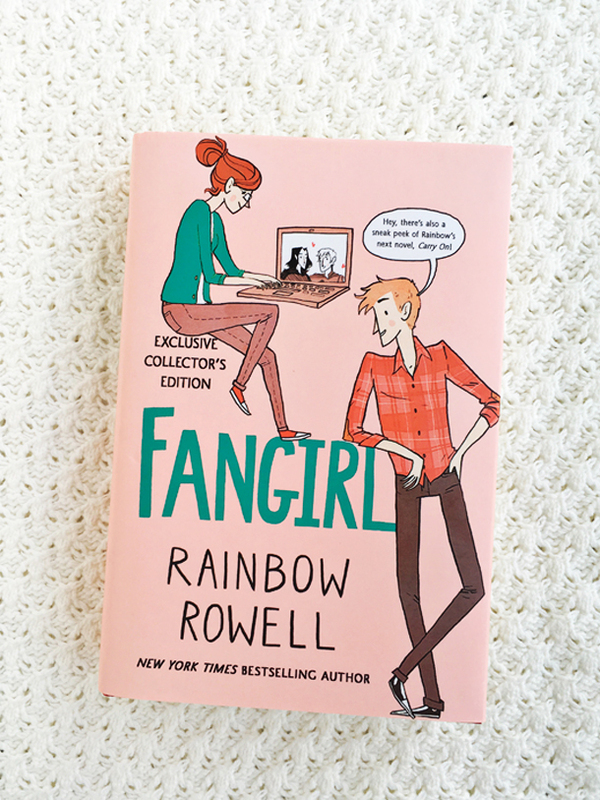 For March, I've selected Fangirl by Rainbow Rowell! I've read two books by Rowell now (Landline and Eleanor and Park) and really enjoy both of them. I thought it would be fun to read another together! Have you read any books by Rainbow Rowell? Even if you've already read Fangirl, please join in the discussion! We'll have the discussion on March 30th. You've got a couple weeks to check this out from the library or purchase a copy. I'm really excited about these book club discussions! I hope to see you at the discussion on March 30th! Let me know if you're interested by commenting on this post! And don't forget! Our Year of Yes discussion is coming up this Wednesday, February 24th! Hope to see you there.